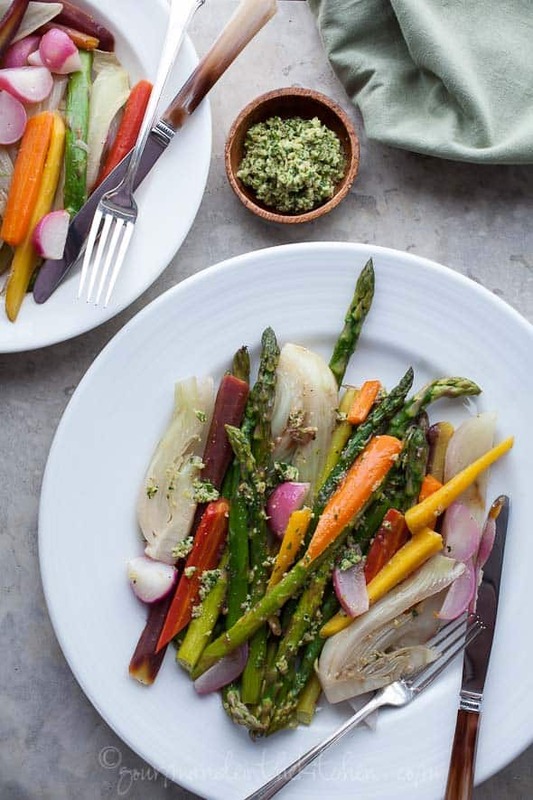 Tender young carrots, asparagus, radishes and fennel are gently braised and tossed with a green olive pesto. The very thought of spring brings to mind freshness and lightness. I think of cool breezes, sunny days and the array of beautiful colors just starting to awaken in nature. Fresh flavors and colors fill the markets and invite themselves home, filling my counter tops and refrigerator to the brim. Young, tender and vibrantly colored they call to me with their siren song. 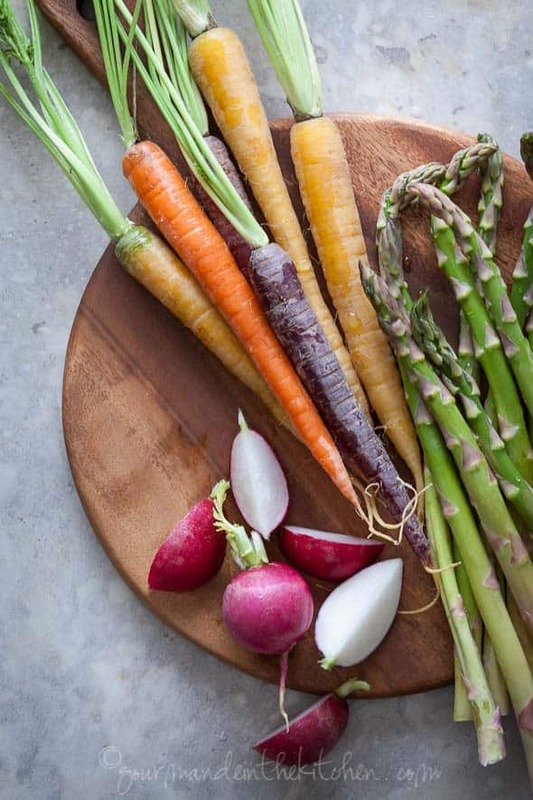 How can I say no to the slender asparagus, the jewel toned multi-colored carrots and bright pink radishes piled high just begging to be put to good use? A quick braise and glaze is just the thing for vegetables this fresh and tender. It would be criminal to submit them to the slow torture of being boiled to tasteless mush or drowned in heavy sauce. No, a light touch of butter and garlic seems a much more fitting end. 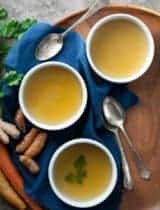 Braising is a classic French preparation which consists of a quick sauté in fat followed by a brief steam/poach in a small amount of liquid which is then evaporated to create a glaze. The resulting vegetables are still bright, fork-tender and enveloped in the rich flavors of the braising liquid. Tender carrots, asparagus, radishes and fennel bubble away on the stove, the scent of butter and garlic filling the air. 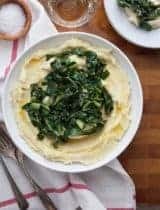 A lid is placed on the pan to trap the moisture and minutes later perfectly tender vegetables emerge, creamy and glistening. Next comes the glaze which is simply the cooking liquid reduced a few more minutes on the stove and then poured generously over the top. But that’s not where it ends, next in line is the pistounade. 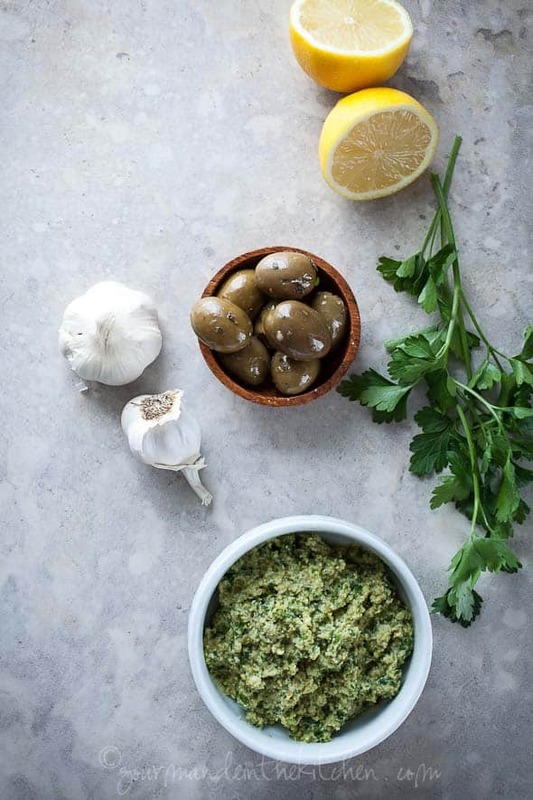 Pistounade is pesto’s French cousin, a combination of pistou and tapenade made with fresh herbs, garlic and green olives. It adds a tangy bright finish that brings everything to life. 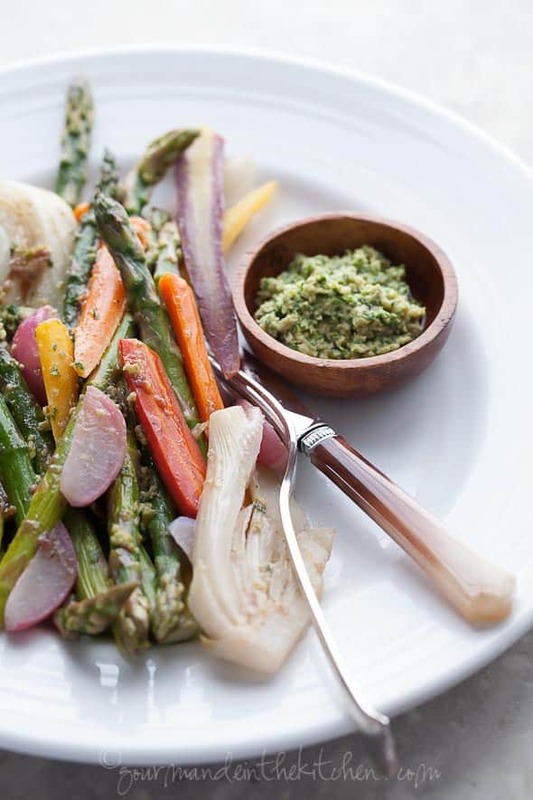 A quick braise of spring vegetables in butter and garlic topped with a green olive pesto. Place all the ingredients up until the olive oil into the bowl of a food processor and pulse until coarsely chopped. Turn to on and slowly drizzle in the olive oil until well incorporated adding more if necessary to make a paste. Set aside and make the braised vegetables. Heat the butter in a large sauté pan over medium heat. Add the garlic and cook over moderately low heat, stirring, until just fragrant (don’t brown). Add the vegetables to the pan and season with salt and pepper. Reduce the heat to low and cook, stirring, until just glazed, about 1 to 2 minutes. Add water cover pan and cook over low heat until the vegetables are tender but still firm, about 8 to 10 minutes. 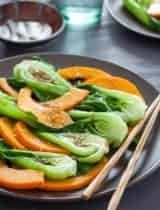 Remove vegetables from the pan with a slotted spoon and set aside. Turn heat up to medium-high and cook the braising liquid for about 5 minutes to reduce. Toss the vegetables with a few spoonfuls of the pistounade and pour the reduced braising liquid over the top. Serve warm or at room temperature. That would be a beautiful meal for me right now. Beautiful. Yum! Looks so good. And all those veggies are beautiful! Definitely need to make an olive pesto, can't believe I haven't done that before (besides making tapenade). I had a big plate of roasted veggies this week that put me in the mood for spring. But these still fresh, non-smokey flavors with pesto...yep, going down next. I've never made a pistounade and I'm such an olive hound. Would be great on fish too, I bet. Oooooooo this plate just needs my face right in it! I can't wait to start working with rainbow colored veggies again, your carrots are stunning! Beautiful, Sylvie! I love the sound of the green olive pesto. This is so pretty! I love the sound of pistounade! Beautifully braised vegetables! Mine never see water :) ! Very much like your pistounade and shall copy over the weekend. This looks really good! Just looking at the photos are making my mouth water. 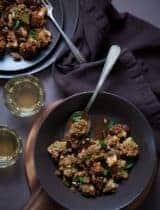 I will definitely be trying this recipe VERY soon. I am LONGING for Spring to arrive in the UK. Maybe if I start eating this kind of dish it might arrive... beautiful. Mmmm,what a colourful, healthy plate that is! What a beautiful, colorful plate!! I want a purple carrot... I have never had one. I live in the midwest & it seems that we don't get purple carrots around here. booo! You sure know how to make a girl feel inspired. I LOVE olives and you know I love my veggies. Making this TODAY. Now how did I never think of olive pesto? 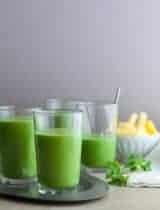 Looks simple, healthy and gorgeous! These veggies look divine, Sylvie! Aw thanks, you're too sweet. Love this to death. 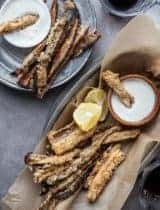 I have been looking for some more uses for Asparagus, this is just the ticket. Love the pistounade recipe as well. I have never made it before but I think I'm going to give a try now. I love eating vegetables like this. I usually will roast them gently in the oven. Thank you for bringing color and good things in a grey day S.
I've been on a veggie binge lately - this looks fantastic Sylvie! Nothing short of gorgeous! And your descriptions, perfectly phrased and utterly tantalizing! Really beautiful! Spring in a platter, love it!! Wow, this produce is gorgeous! What a simply mouth watering dish. What a bright and beautiful plate! I wouldn't mind having one right in front of me RIGHT now! Just a work of art! And the addition of green olive pesto makes these roasted veggies stand out from the rest...love this dish! What a beautiful and healthful dish, Sylvie! I could eat like this everyday. Roasted veggies are one of my fav for the season. That pesto is new to me and sounds fantastic. will try! The colors in this spring dish are just gorgeous! This sounds so fantastic! Somehow, I've never head of green olive pesto even though I'm so in love with olives. I'll have to give this a try! 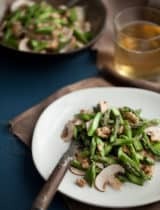 This is such a beautiful spring dish, Sylvie! Your photos are gorgeous as always! Whenever I visit your blog, I always get reminded to use the freshest ingredients. Your gorgeous vegetable pictures are simply so inspiring!!! Great shot, Sylvie! The green olive pesto... yum! Yum!! What a great way to eat veggies! AHHHH! This is like a breath of fresh air, and the beauty is in the simplicity. So lovely, summery, and I really appreciate how you let the veggies do what they do best - look gorgeous and vibrant! This sounds delicious! 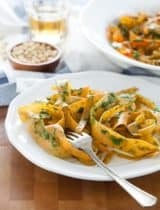 I love the idea of the green olive pesto on fresh veggies - I'm definitely going to give it a try! Thanks for sharing.